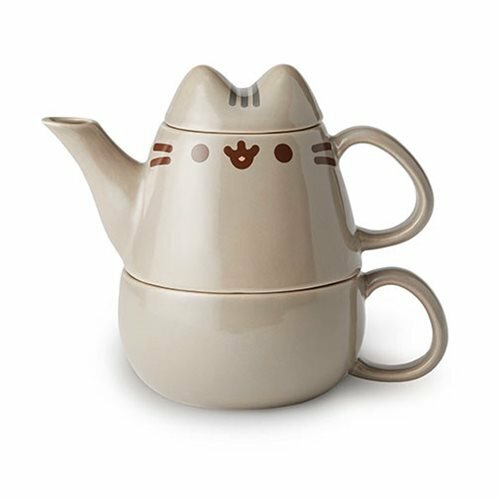 Fans of Pusheen will love this Pusheen the Cat Tea for One 10 oz. Tea Set! 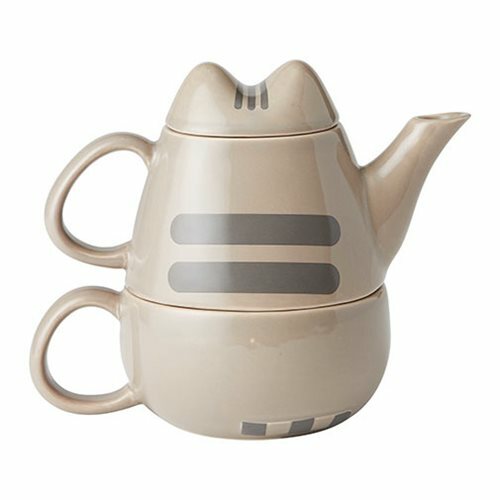 Celebrate your fandom with this unique sculpted Pusheen the Cat tea for one set. 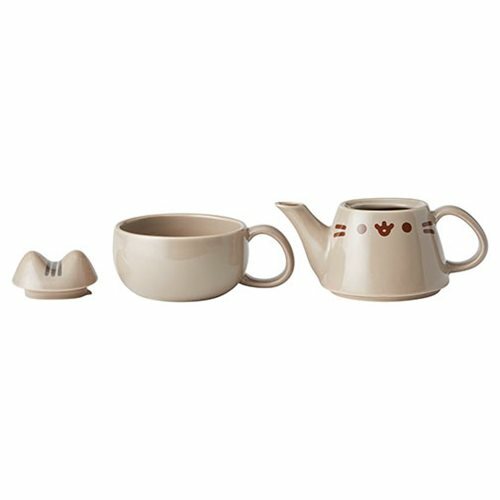 The three piece set is made of stoneware and includes a kettle, cup, and lid. Comes packaged in a decorative gift box. Measures about 6 3/4-inches long x 5 2/5-inches tall x 4-inches wide. Hand wash only. Not dishwasher safe. Do not microwave.